Many self-purported global real estate agents will point to their international real estate marketing plan as a reason to choose them versus the next broker also charging the typical 6% real estate commission. But is being listed on international property websites worth it? Do foreign buyers looking for NYC properties actually search on these so called international real estate websites? We’ll explain in this article why most international real estate marketing is a scam, and why you already have complete exposure by listing with a local agent in the NYC Multiple Listing Service and a handful of popular NYC focused property websites. What If a Foreign Buyer Is Working with International Real Estate Brokers Based Overseas? What If International Real Estate Brokers Favor Their Own Local Branches? Are International Property Listings Syndication Schemes Worth the Money? Where Do Foreign Buyer Inquiries Actually Come From? International real estate marketing is really simple. Think about it. The first thing international buyers looking to purchase in New York City will do is to either reach out to a real estate agent they know, or to Google for NYC properties for sale, buying a condo in NYC etc. Even though foreign buyers of NYC property may want to do some internet research by themselves first, almost all of them will eventually work with a NYC based real estate agent to help them once they want to start seriously searching. This makes sense because international buyers cannot so easily just stop by an open house on the weekend. They’ll have to rely on a trustworthy local agent to do much of the previewing for them, and only fly into town when there is a serious deal on hand, if at all. This means that all international buyers will search for NYC property with a local buyer’s broker, or through a popular, local property search website such as the New York Times, Realtor.com, StreetEasy or Brownstoner. These are the real estate search portals that will come up during a NYC related internet search query, not some random “international” search website with zero traffic focused on Russia, or more preposterously, globally. Self-purported international real estate companies and brokerages will often claim that they have better international real estate marketing because they have offices around the globe. And while it’s plausible that a foreign buyer will speak first with an agent in their home country, this does not mean that the foreign real estate agent will be their buyer’s agent. Think about it. An overseas based real estate agent will have little knowledge of the NYC real estate market, and more importantly, will not be a member of the local real estate association and MLS. Without MLS access, the foreign agent will have less information than competing local agents, and most importantly will not be able to easily secure a co-broke. Remember that listing agents are not required to split commission, or cobroke, with buyers’ agents unless there is a pre-existing agreement in place. For most local real estate associations, such as the Real Estate Board of New York (REBNY) in NYC, that pre-existing agreement is an universal co-brokerage agreement that all member firms must sign before being allowed access to the local inter-broker database (i.e. RLS or REBNY Listing Service in NYC). Since a foreign real estate agent will not be willing to go on a while goose chase for free, the only logical thing that he or she would do is to refer the buyer to a local real estate broker. Furthermore, even if an overseas real estate agent wanted to be involved in the whole process, it would be illegal to do so as the foreign agent would need to be licensed as a real estate salesperson in New York State. Additionally, licensure is only granted to applicants who are US Citizens or Permanent Residents. Wouldn’t the easier option be to just refer the buyer to a local real estate agent and collect a referral fee? Once the buyer is referred to a local NYC real estate agent, the agent will search for listings for the buyer in the local inter-broker database, otherwise known as the RLS. 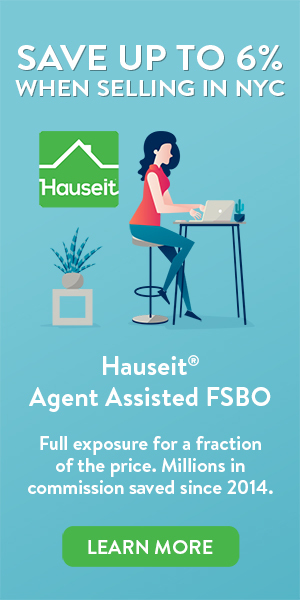 If you’ve already listed your home in the RLS through an Agent Assisted FSBO or a 1% for Full Service listing, then you’re already getting full exposure by default! It’s certainly likely that an overseas real estate agent would refer their buyer to a locally based broker within the same franchise. However, that has nothing to do with you as the seller. It’s important to understand that once a property is listed in the RLS, a commission is offered to all other agents in the network. Furthermore, since this offer of commission to buyers’ agents is contractual, there is no difference to agents who the listing brokerage is. As long as the buyer’s agent fee offered is not too low, the buyer’s agent will show the property. Remember that you as the seller are offering the same commission to buyers’ agents regardless of which company they work for. As a result, it makes absolutely no difference to whom the foreign buyer was referred to, you’ll be paying the same amount to a buyer’s broker regardless. Absolutely not. The only reason most of these international real estate marketing companies exist is because of the common real estate lies told by so called international real estate brokers to create doubt in the mind of sellers who have over priced properties. Sellers who are hearing crickets on their listing because their listing is way overpriced will often have malicious real estate agents whisper in their ear that they’re not getting full exposure to international buyers as a way to create doubt and get the seller to fire their selling Realtor. As a result, many listing agents will resort to paying up for these expensive international listing syndication packages as a way to defend their turf. Food for thought: If the “number one property search website in Morocco” only has a few NYC properties listed for sale, why would a Moroccan buyer looking for NYC property search there in the first place? Are you selling a coop or a lower priced apartment in NYC? If so, you absolutely should not be wasting your time checking out international real estate marketing schemes. That’s because foreign buyers and investors will generally not even touch co-ops due to their restrictive house rules and sublet policies. It’s widely quoted that 90% of all transactions in NYC are done between a listing agent and a buyer’s agent. When it comes to foreign buyers, the percentage that is represented by buyers’ agents is undoubtedly even higher. In our experience and the experience of our partner brokers, when it comes to the occasional direct buyer inquiry, 99.9% will come from a small number of property search websites such as the New York Times, StreetEasy, Zillow, Brownstoner, Homes.com, Realtor.com and Trulia. Even though our partner brokers syndicate their listings to hundreds of real estate websites1, most of them get zero traffic except for the handful mentioned above. Just like international real estate marketing, having more sites does not mean anything at all! 1Our partner brokers use the latest syndication technology and partner with syndication hubs such as Listhub, Nestio and the RLS Syndication Network. Listings are automatically syndicated to hundreds of real estate websites upon upload. Syndication includes many international as well as local property portals. While there is not a way to easily provide customers with a list of all websites their property is on, you can easily find many of them by simply searching online for your property’s address. Please note that some sites allow only sales listings, while other sites only allow rental listings. Furthermore, some sites only allow listings that have certain criteria available, such as square footage. Are you selling a condo or selling a luxury home worth $10 million or more in NYC? If so, foreign buyers and investors looking to purchase property through LLCs will be a much bigger component of your buyer base. However, what we’ve said about the effectiveness of international real estate marketing still applies. Foreign buyers and ultra high net worth individuals will absolutely be working with the assistance of a local real estate agent. Therefore, if your property is listed in your local inter-broker database, you’re already covered!